For the letter W, I was going to discuss search warrants, but changed my mind and decided to touch on a different warrant, one that we normally, don't hear as much about. In Louisiana, the Code of Criminal Procedure provides that once the Supreme Court of Louisiana affirms a sentence of death, after review on appeal, the court of original jurisdiction (trial court) shall cause to be delivered to the Secretary of The Department of Public Safety and Corrections, a certified copy of the indictment, verdict, sentence and a copy of the judgment affirming the sentence. The trial court shall also issue a warrant commanding the secretary to cause the execution of the condemned prisoner. 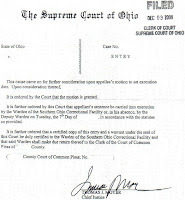 The warrant shall specify the date upon which the condemned shall be put to death, which date shall not be less than sixty days nor more than ninety days from the date the warrant is issued. In Louisiana, an execution can only be carried out between the hours of 6 and 9 P.M.
Now, you are probably saying, hold on a minute...no prisoner is ever executed that swiftly. And you'd be right. That's what the law states, but then we have something called the appellate process that intervenes. After State appeals are exhausted, the defendant will begin the process in federal court. And, so begins the plethora of last minute appeals. If any federal or Louisiana court grants a stay of execution, or if the governor of Louisiana grants a reprieve the trial court must reset the date of the execution and the process begin all over again. A woman cannot be executed if she is pregnant. Did you know that an incompetent person cannot be executed, but he may be given medication to make him competent so that he can then be executed? The process is a lengthy one and it is physically, mentally, and emotionally draining on all involved parties. Are you for or against the death penalty? Has your opinion changed in the past 5-10 years? Does your state have the death penalty? 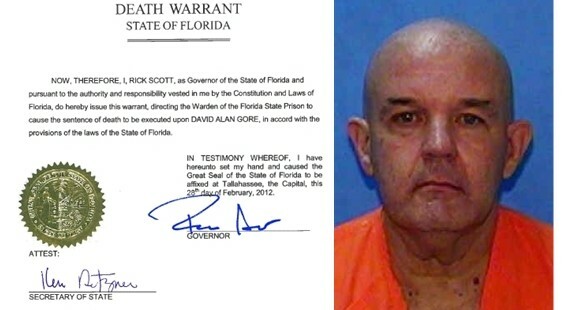 If so what is the average amount of time that an inmate lives on death row before he (or she) is executed? In Louisiana, the process takes a minimum of twelve years and sometimes more than twenty. 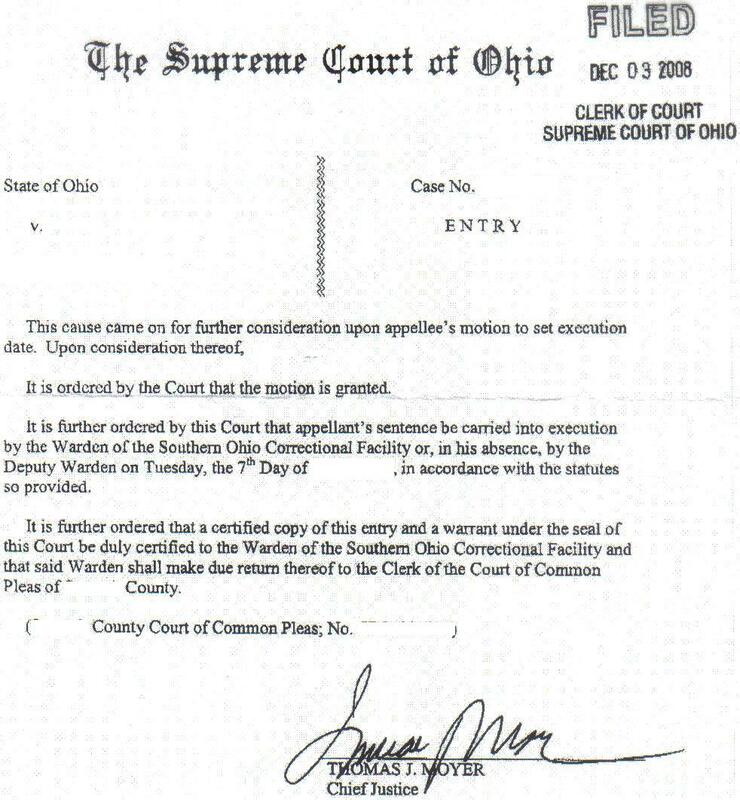 I prosecuted my first death penalty case in 2000 and the condemned has not even come close to his execution date. Read this, if you are interested in a more detailed blog post that I wrote, last year, on the death penalty: Death Penalty: Countdown to an Execution. I have some more gift cards to award. I also have two more winners to announce on Sunday or Monday and I've selected the winner for the Robbery question, which will also be announced Sunday or Monday. 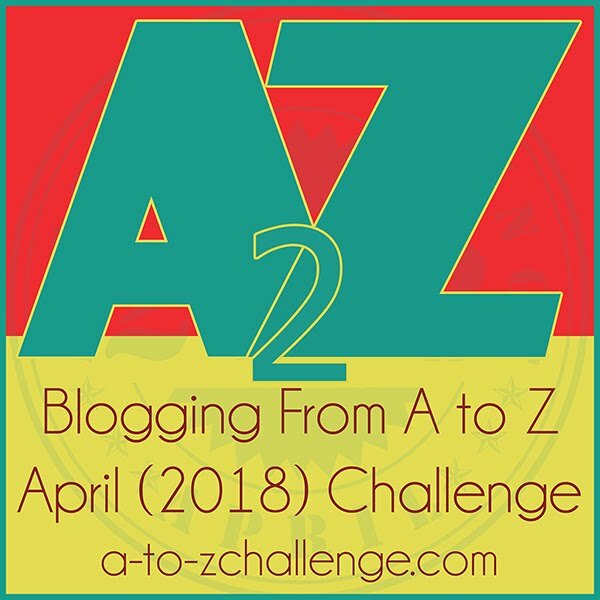 As with all my other post for the 2013 A to Z blogging challenge, this information is provided to you for entertainment purposes only. 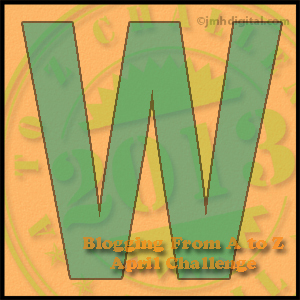 We are nearing the end and I hope you've found this information helpful in writing your mysteries, suspense, thrillers and other crime fiction. It's a difficult topic, that's for sure. I live in Australia so we don't have the death penalty, and I'm very much against execution, both because I don't agree with it and because I have a phobia of it thanks to a badly timed tv news article when I was around five or six. I can, however, argue for it quite convincingly if I have to. I get it, I get the whole societal self defence concept ... it just squicks me out. Sad the process takes so long. That's a lot of taxpayer money. I do believe in it, as it's eye for an eye. In Arizona we have the death penalty, and I do agree with it. However, it upsets me all the taxpayer money that it spent during the long incarceration. I think my feelings are forever changing on captial punishment. I say I'm for it, but would I throw the switch? I don't know if I could. I have an award for you at my site in appreciation for all the helpful information. It's hard to beleive only two letters left! Also, FYI--my friend pointed out that in Double Jeapordy the husband says Louisiana doesn't hesitate to use the gas chamber. Thought you might appreciate this. I live in Texas. You know we have the DP...and use it a lot. I believe in the death penalty and do not get all caught up in the religious and moral ramifications. Eye for an eye is good enough for me...beyond ANY doubt. And that is the sticking point isn't it? There have been so many exonerated from prison after years of unjust incarceration that it is now rather cliché. I actually employed a young man by the name of Kerry Cook who was wrongly convicted of murder in Tyler, TX and through exhaustive process, became an exonerated man. He was almost child-like in the world when he came to me after 20 years in prison. He and his wife (who actually helped in gaining his freedom before getting married) managed a facility for me for several years. I gave him his first job upon his release in 1997. He wrote a book. He was part of the play The Exonerated, featuring portrayals by people like Susan Sarandon and Morgan Freeman...his Facebook page features other famous actors. And since that time many more prisoners have felt the relief that DNA testing has provided them in getting their sentences overturned. The adage that, "Better 10 guilty men go free than one innocent man be executed" is a valid truism. There should be virtually nothing circumstantial about a death penalty sentence. But those who are just wired wrong and commit heinous acts should forfeit their right to dwell among us in any capacity and we should not subsidize their existence.